• Firefox is the safest way to use the Internet. • We start with safety – We engage security experts before we even start development so we can identify and address potential problems before a single line of code is written. • We build Firefox to be safe – Keeping people safe online is a big reason why Firefox exists. We take security very seriously, which is why we open our development process to allow security researchers to contribute at any point and on any topic. If a critical bug is discovered, we’ll make it public so it can be fixed as soon as possible. • We actively work to keep Firefox safe – Security doesn’t stop once the product has shipped. We’re constantly monitoring threats and releasing new Firefox updates to stay ahead of the bad guys. Because we’re open source, we have an entire community of users around the world who help us make your web browsing safer. • It’s important to give concrete examples of potential threats rather than just mentioning the abstract concept of “security”. People can easily relate to the ideas of identity theft, stolen credit cards, viruses, spyware and phishing, so explaining how Firefox helps prevent these things is key. • Specific Firefox security features include anti-phishing alerts, password manager, protection from spyware and automatic security updates. • The reality is that there are people out there who want to steal your personal information. That’s why we’re constantly refining Firefox with security updates every 6-8 weeks (and more often if a fix is needed to address a critical issue) to stay one step ahead. • The main reason Firefox is safer is because of our open process, which allows us to identify, acknowledge and fix bugs more quickly than the competition. • When it comes to web browsing, we believe that one size doesn’t fit all. • Firefox has the most ways to customize your online experience specifically for the way you use the web. • There are also many different themes that let you express yourself by decorating your browser in a variety of ways. • The key challenge is getting people to think about the browser in a new way…that it’s more than just a utility. The browser isn’t just a static window to the Internet, it can be an active part of the Internet itself. • It’s important to demonstrate the specific benefits of add-ons…the message isn’t customization, it’s why customization makes people’s Internet experiences better. • It’s also important to remember the audience here…for consumer messaging, we want to focus on add-ons that are easy to explain and have the broadest possible appeal. In other words, this means referencing ones like eBay, FotoFox, FoxyTunes, etc rather than the more developer-centric ones. • Using a familiar, non-technical analogy to convey a fairly technical concept is a very effective way of communicating the role add-ons can play in your web experience. For example, using add-ons is like designing your living space at work or building with blocks. • Firefox is good for you: it stands for openness, innovation and freedom on the Internet. • We’re a global, grassroots effort – Mozilla’s products are a result of a collaboration between employees, volunteers, universities, foundations and corporate partners. Firefox was created by an international movement of hundreds of thousands of people from wildly different backgrounds, all seeking to develop the world’s best browser. 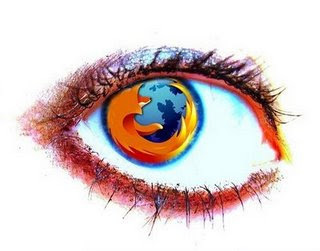 • Open source means a better browser for the 120 million regular Firefox users. We open up our process to anyone and everyone in order to encourage the innovation and development of exciting new technologies that will keep pushing the web forward and making it a better place for all. • The “100% organic software” concept sums up a fairly complex situation using a metaphor people can easily recognize. Organic stands for something that’s better for you, something trusted, something of higher quality…all key ingredients of Mozilla and Firefox. • We need to focus less on the technical aspects of open source, which is hard for people to understand, and concentrate more on the tangible user benefits – innovation, accessibility, freedom, a better web, etc – to reach more potential users. • A great example of the power of open source is the fact that Mozilla only has roughly 100 employees, yet is able to compete with some of the biggest companies in the world because of our amazing international community. • Although the 100% organic concept really applies to the Mozilla organization as a whole, for our consumer messaging we need to show how this process ties back in to Firefox…the organic nature of our software development has created a healthier, higher quality browser that makes the web better for you.